- zerofoursa231797: 28, 5' 2", 110 lb, 142 cm snowboard, 2 years riding. - youngboardin: 13, 5' 0", 90 lb, 138 cm snowboard, 3 years riding. 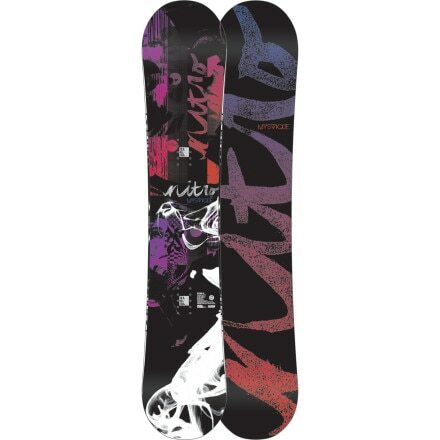 So, I was looking for a snowboard 3 years ago because my mom and dad are snowbarders. I got interested in snowboarding when I was 10, and first rented a Burton 136. It was a good fit, but it was just a rental. After becoming interested in the sport, I went shopping for a board. What I found was this beautiful board, 138, my size. You know What? I bought it. After 3 years, I still have it. It's great. Just think, a board as your FRIEND. Weird, impossible. .. right? Wrong! This board is still going, and so is our friendship.